This update brings with it an update to the Holiday Celebration Pack – Diwali! 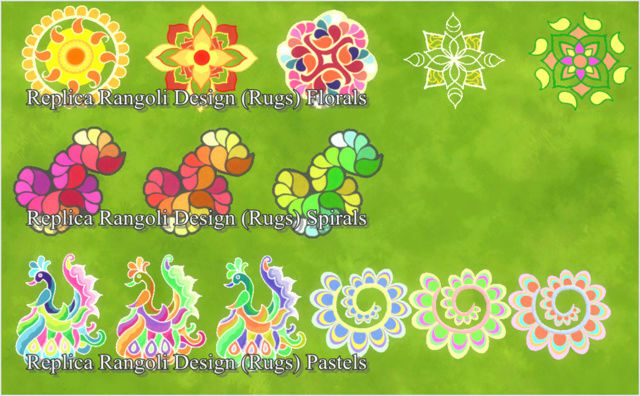 9 new objects and 7 new Create a Sim assets to help you celebrate Diwali. You will need to download the Holiday Celebration Pack (if you have not already done so), completely free, in order to access these new assets. Just click on the Holiday Celebration Pack from the Main menu “Your Collection” section, and add it to your game… freely free! Once in game, you can find them by looking for the Holiday Pack filter in Create a Sim and Build Mode. 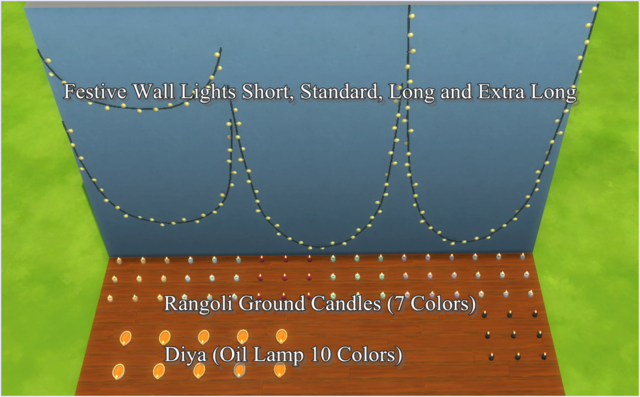 A 3×3 grid of candle lights that you can place on top of other objects, such as the rangoli inspired rugs. Warning: The placement of open flames on top of your favorite rug is NOT recommended in the IRL dream. 4 different wall hanging string “not real but they do glow like they were real” lights, that can be mixed, matched, and overlapped to create interesting displays of festive (not) lights. We addressed an issue that resulted in some GeForce 1080 TI and 1060 users receiving an “Unrecognized Video Card” error message upon launch. Seated Sims directed to wash dishes should no longer prioritize counter sinks over stand-alone sinks regardless of distance or complex route path to sink. If I could somehow describe the video attached with this issue, I could paint a picture of the directorial debut of an up and coming film genius! ZZ, we in the dev studio congratulate you, on your issue-videography skills! We’re feline’ pretty good. Our catitude is pawsitive, and in just a mew short weeks, you too can have in your pawssession, the purrfect companion fur your Sims. I know, we want it in our cat-alog meow, but patience, fleas, all good things in mew time. Until then, don’t worry about who’s got your tongue, the bag is just fine being empty, and one day we’ll catch curiosity and lock him up for what he’s done! SimVIP put together an overview of the new content that came in the patch.